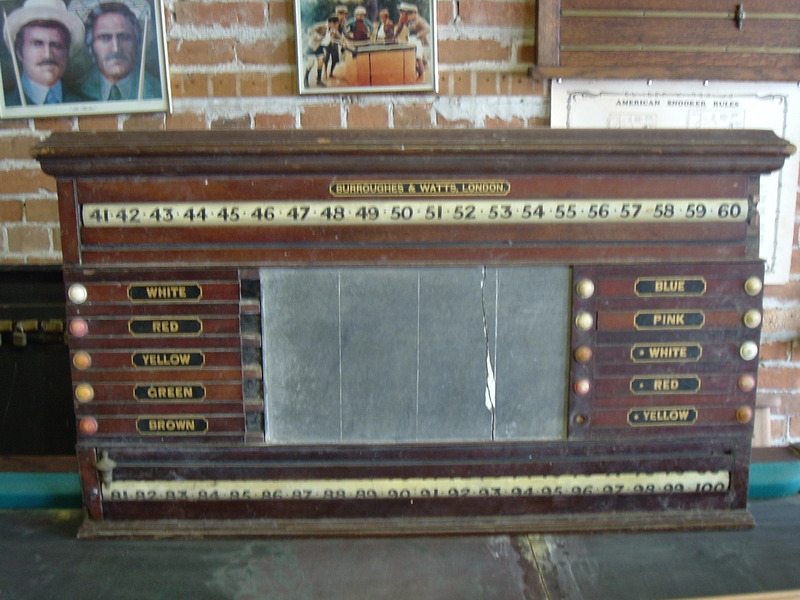 The pioneers of pool and builders of billiards! Burroughes and Watts have had an illustrious history stemming back to 1836 in England at the cusp of the Victorian era. 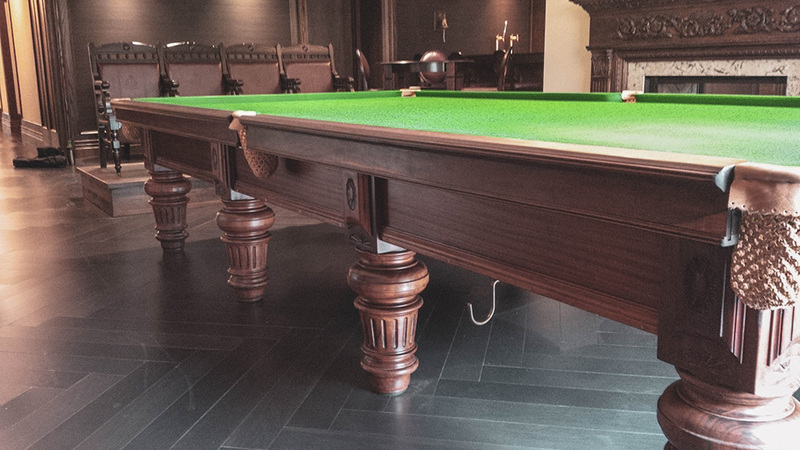 Their history as a part of the early heritage of billiards and snooker sports is the stuff of legends. Even though their names might not ring the same bells today as they once did, don’t let that deceive you. In the early 20th century, Burroughes and Watts gained a sizeable following and reputation. This following was pushed forward by royal patronage from Queen Victoria and her husband Prince Albert. Given the politics and society of the day, a royal endorsement was really something significant for the emerging company. Both the royals themselves and their immediate circle of friends and family were avid fans and players of billiards. This garnered a great deal of interest from nobles and royals all across Europe and the Commonwealth as well. To this day, many of the stately homes across what was once the mighty British Empire still boast original Burroughes and Watts tables. When opportunity knocks, we love having the chance to work B&W tables. 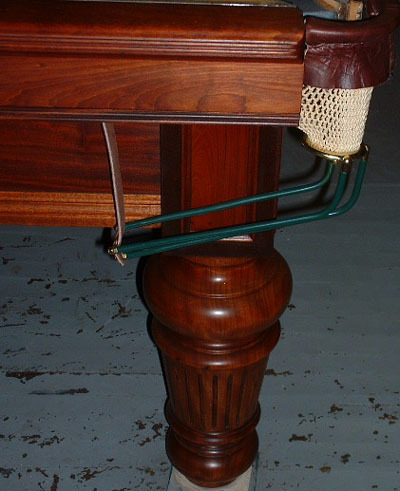 A worldwide history of fine table building. The Canadian division of the company has a sparse history. That said, it’s certain that E. H. Acland managed the distribution in both Canada and the West Indies. This division thrived until the middle of the 20th century and maybe longer. We’ve dedicated ourselves to service B&W tables with the values these fine builders made them with. Not only were their products legendary, but their influence too. Their role in the culture and development of the sport’s popularity was impressive. London was a cosmopolitan city during the period, and this ebbed and flowed to other major trade and political hubs. Word didn’t take long to spread to other aficionados of the game living all across the British Empire. 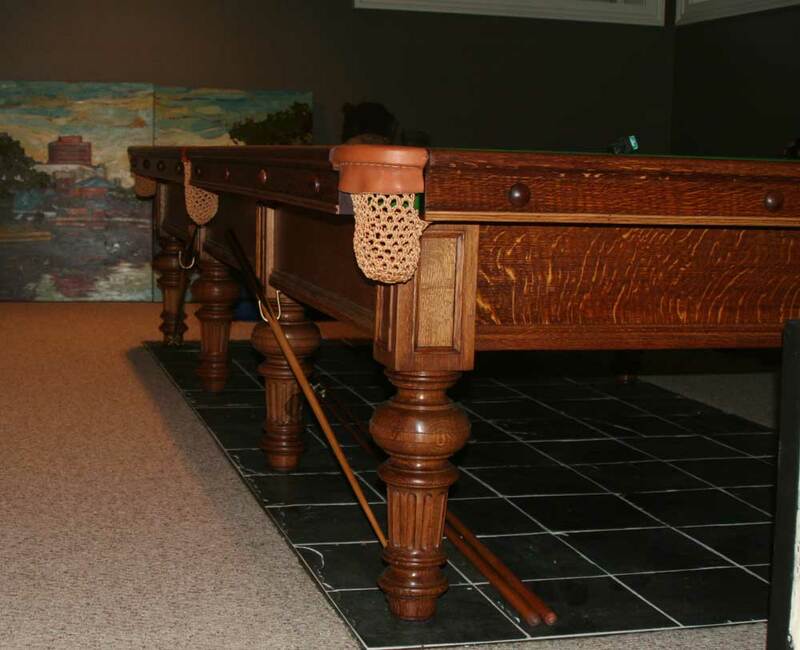 If you thought shipping and delivering a pool table was hard today, you ought to imagine how it was done 150 years ago! Honouring Burroughes & Watts here and now. Our reverence of B&W bears a lot of resemblance to that for Samuel May & Co. Both marks we carry today with a great deal of pride. They both enriched history we find important and significant. From London Ontario to London England were well known and played pivotal roles as cornerstones of cue sports. Burroughes Hall in particular was home to some of the first snooker tournaments around the world. It also played an important role in popularizing the sport with commoners. Even today, their cues and equipment are popular choices for amateurs and professional players alike. We also often have vintage B&W tables in stock for sale that you’re welcome to inquire about should you be interested. Should you have need for tough-to-find parts or service on your B&W table, be sure to let us know.